I interrupt our current episode discussion to offer tribute to Efrem Zimbalist, Jr., Stephanie’s Dad and the jaunty Daniel on RS, who has passed away at the age of 95. He had an extraordinary career and was, by all accounts, a good man. I extend my sympathy to Miss Zimbalist and her family in this time of loss. Just watched “Sting of Steele” yesterday on a flight back home and got goosebumps again when he and Stephanie danced the waltz. And was the scene that came to my mind too, when I heard the sad news. 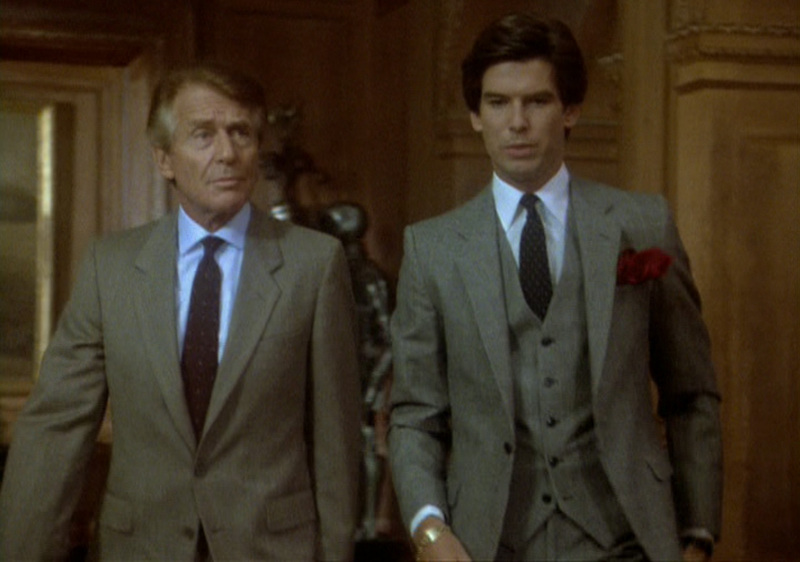 Remington Steele must hold a fond place in Stephanie’s heart, if only for letting her work with her father and capturing those scenes so elegantly. That waltzing scene is one of my favorite Daniel/Laura and Efrem/Stephanie moments. Agreed – it was the first image that flashed to mind when I heard the news of EZ jrs passing. He has always been one of my favorite actors. So enjoyed him as Daniel Chalmers, a great talent. I admired him as a person. My prayers with the family. Was he in an episode of the Nanny too? He seemed to be a gracious man and was a very talented actor. I was heart-broken when I heard the news! One of the things that made RS so special was that is was a family affair: Stephanie and her dad; Pierce and his wife! Efrem was a wonderful actor and person. He will be greatly missed!